Today the Church of England commemorates George Herbert as 'Priest, Poet'. As a teenager I discovered George Herbert's poetry long before I knew he was a priest and for 3 years Rector of Bemerton where he died on 27 February 1633.
alternative models for the 21st century. To me George Herbert is one of England's greatest poets. Today I would rather celebrate him more as poet than priest. After all he only had a very few years in parish ministry. Most of his short adult life was spent in Cambridge as a prominent academic and poet. He also served in Parliament. His poems were published posthumously thanks to his friend Nicholas Ferrar to whom Herbert gave the poems shortly before he died with instructions to burn them if Ferrar did not think them worth keeping. His poems have remained in print ever since. As a poet he gave the church some beautiful and enduring hymns, such as 'Teach me my God and King', 'Come my Way, my Truth, my Life', 'King of Glory, King of Peace', 'Let all the world in every corner sing'. If I lack'd any thing. 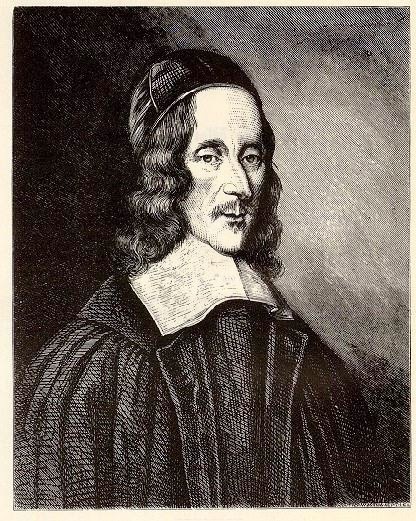 There is an interesting biography of George Herbert (1593 - 1633) here. Another Cambridge poet Malcolm Guite has written a beautiful sonnet for George Herbert. I read this earlier today as part of my Lent reading from Guite's book 'The Word in the Wilderness: A Poem a Day for Lent and Easter (p. 177). He has also posted it on his blog in a post 'A Sonnet for George Herbert'. You can read it or listen to it there. Today I thank God for all the poets who have inspired, helped, challenged or amused me.